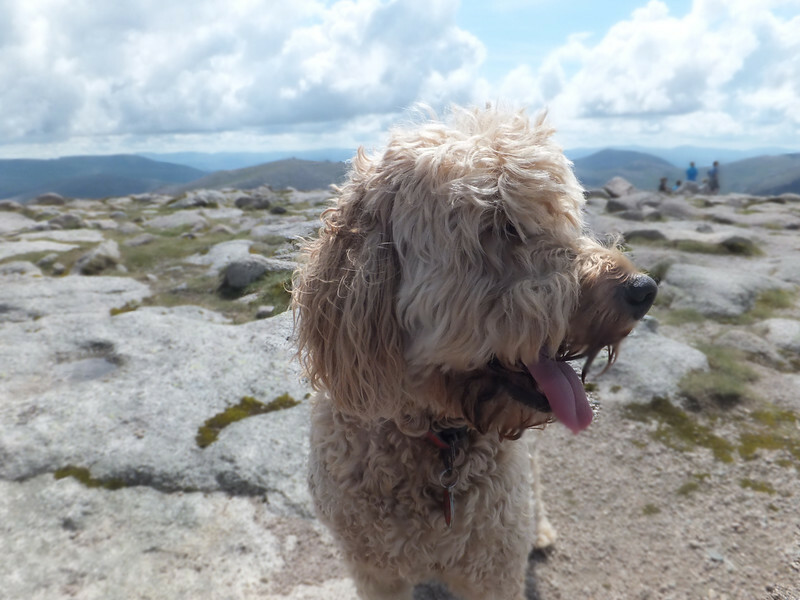 It was about time that Big Dug had the opportunity to make inroads into the labradoodle Munro tally. She's at a disadvantage from the outset, because the snow sticks ineffably to her coat, thus rendering long winter hillwalks inadvisable. 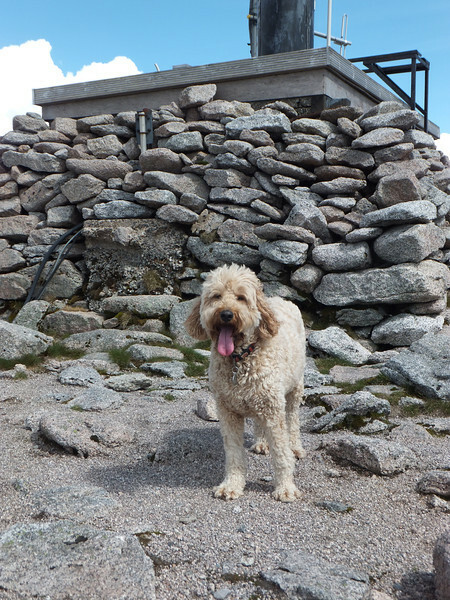 I well remember the jaunt to Beinn Bhreac when we had to retreat from a position no more than half an hour before the summit because she'd snowballed up to such an extent that she couldn't walk, just kind of do an extravagant hoppy leapy thing, in the manner of a big wooly apricot-coloured rabbit. 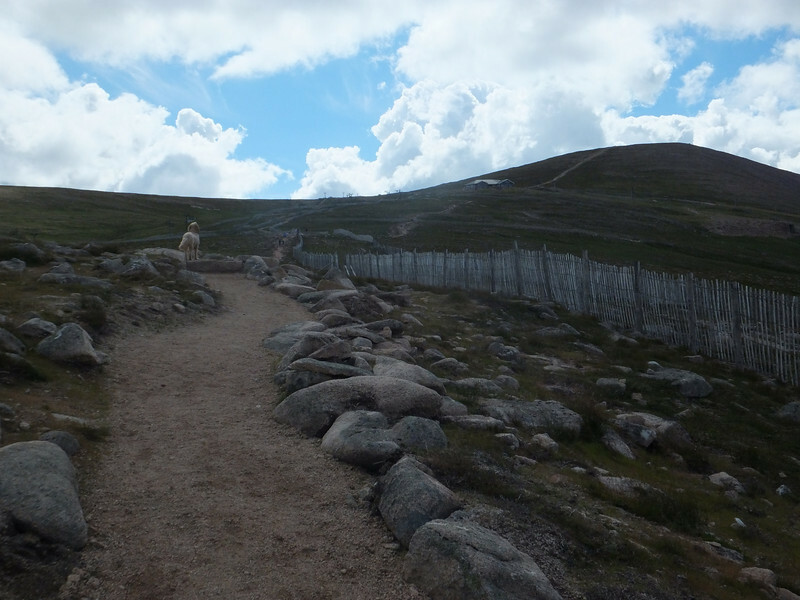 On balance, I felt her limited - albeit entertaining - means of locomotion was better utilised heading down below the snowline. That's of absolutely no moment for present purposes mind you, other than it goes part of the way to explain why the record books show that Jorja has a bagging total of 76, while Molly is lagging ever so slightly with a figure (including last Saturday's conquest) of 21. 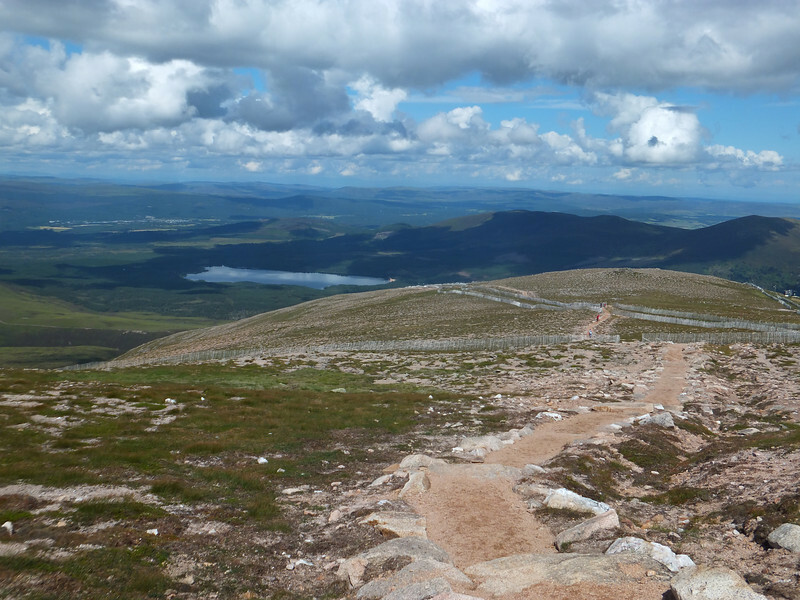 In truth, the plan was to head up the direct route from the ski centre carpark to Cairngorm, and then continue over the plateau and get MacDui done too. 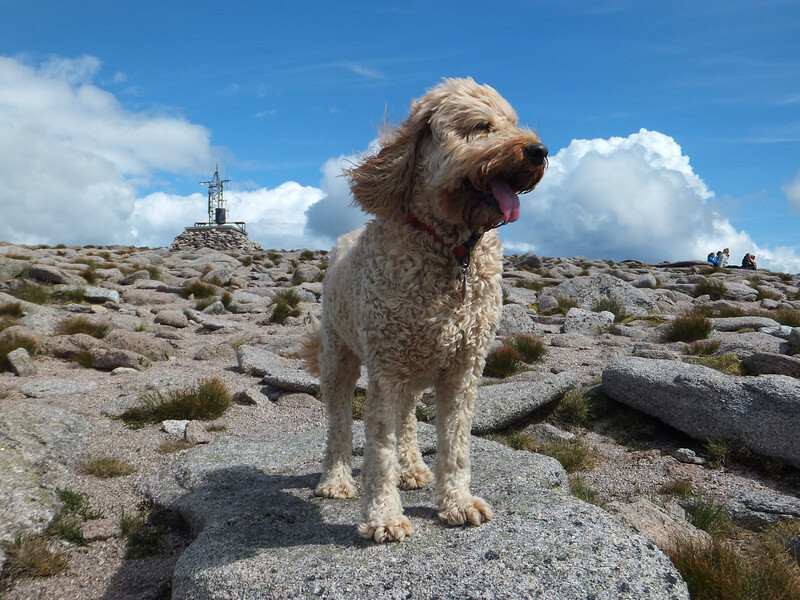 Molly seemed to be coping pretty well, even given the consistently stony underpaw conditions, and the sunnier-than-forecast skies. Progress was relatively swift on a day when there was no pressure of time, and no pressure of water, yours truly having loaded up the pack like a particularly cautious camel, lessons having been learned from the last trip. As Scooby Doo might yet one day say, we'd have got away with it if it hadn't been for those pesky reindeer. 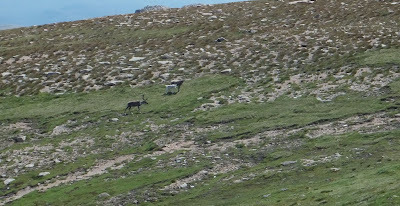 We were maybe an hour from the summit of Scotland's Second Highest Mountain when an enormously fetching family group of Santa's traditional workhorses(?) hove into view. Seriously - if you squint, you'll see 'em. I clocked them just long enough before Molly that I could surreptitiously click the lead onto her collar. 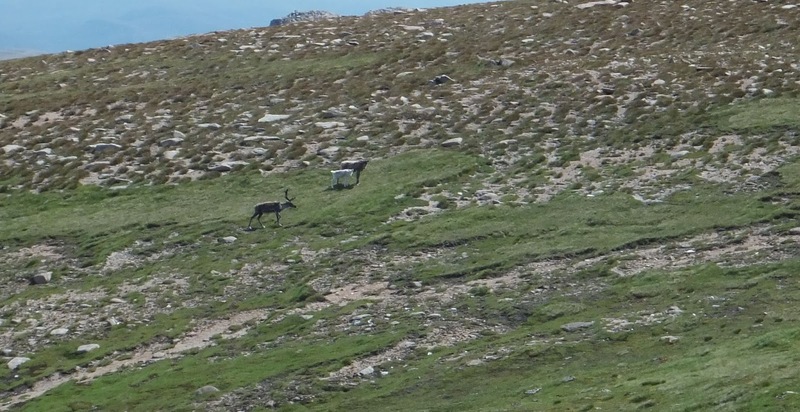 I'm not saying she would definitely have chased them, but I am saying that if she had, reindeer Dad would have quartered her for antler decorations. So, we turned tail. 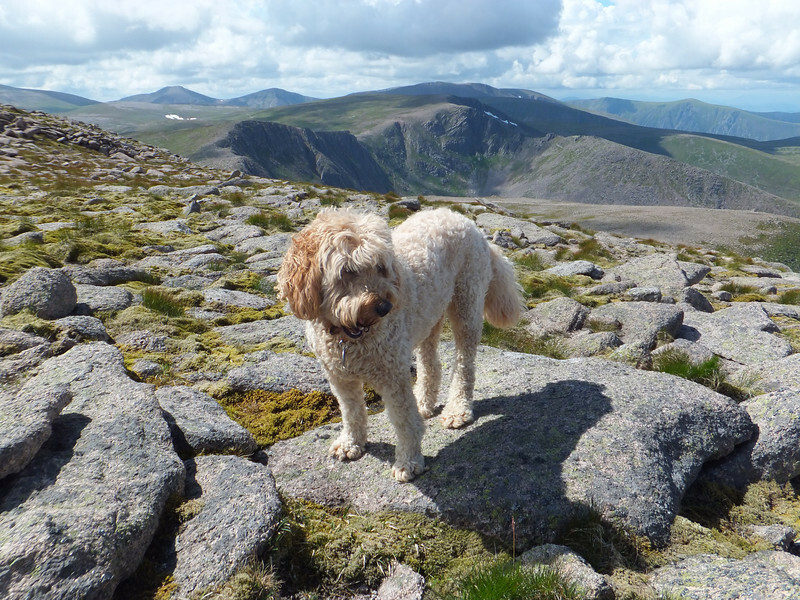 I wasn't overly keen on Big Dug staying on the lead for a couple of hours just to enable her to boast on tinternet about climbing another Munro. 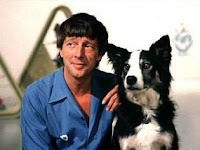 We have a couple of commemorative photies, nonetheless. In the heat, it's a fairly steep pull straight up the tourist path from the car park. 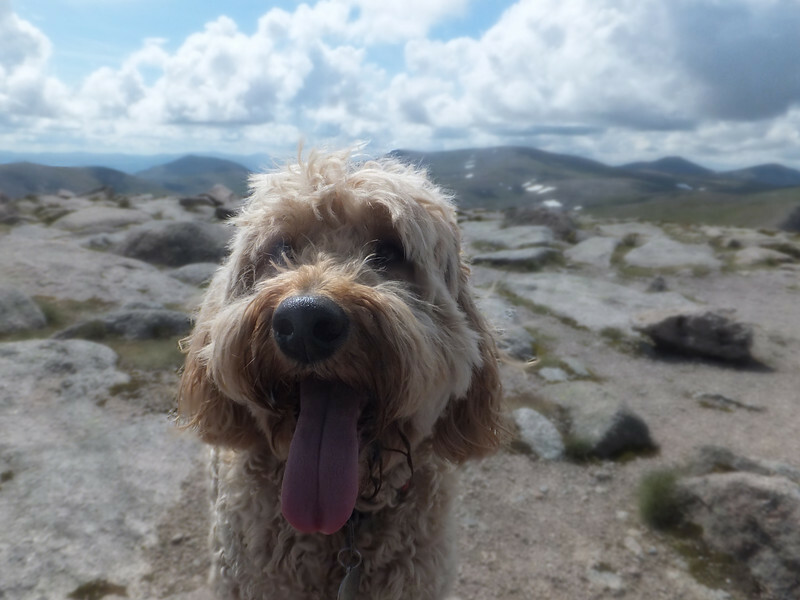 "I love the smell of sausages on the mountain." 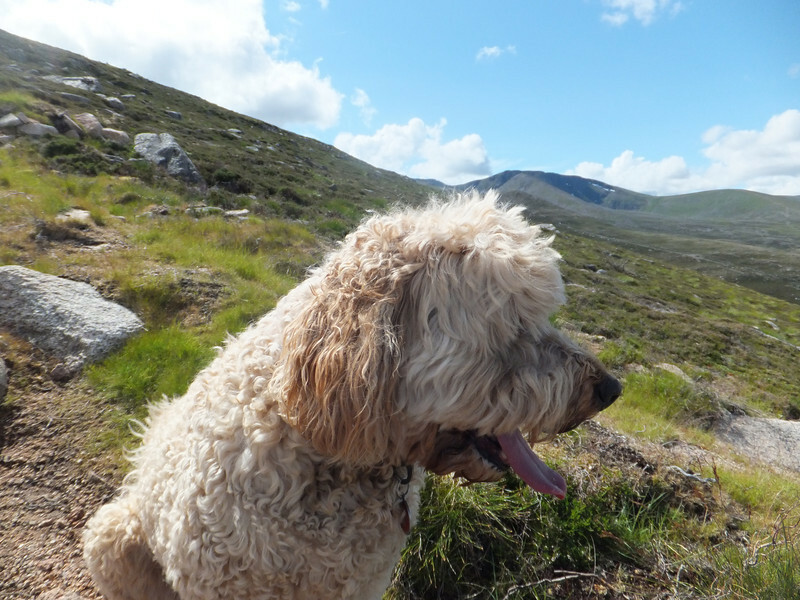 Labradoodles aren't that interested in views to Coire an t-Sneachda & beyond. One more for the Paparazzi.